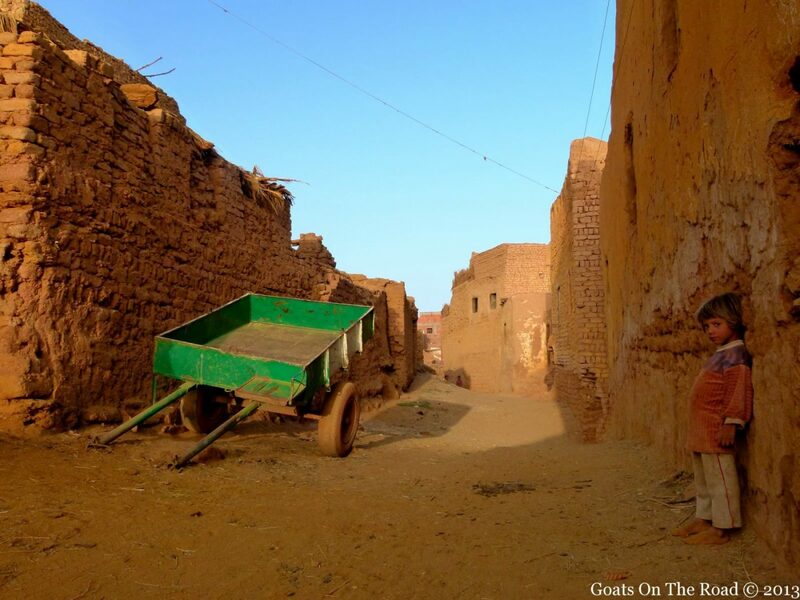 Goats on the Road Posts » Newsletter 2 » Capture The Colour Contest – Red, White, Green, Yellow and Blue, Oh My! Last year, Travel Supermarket launched a photo contest called “Capture The Colour“. Bloggers dug deep into their photo collections and pulled out some of their best shots. They’re back again this year with even bigger and better prizes for the winners of each colour category! We didn’t participate in the contest last year, but after being nominated by our friends over at the Planet D, we realized that hey, maybe our photos are good enough for us to enter. We both love taking photos and it was really fun looking through all of our albums to find our favourites that captured red, white, green, yellow and blue the best. It was a difficult task trying to play favourites with our photos, but here are our choices! 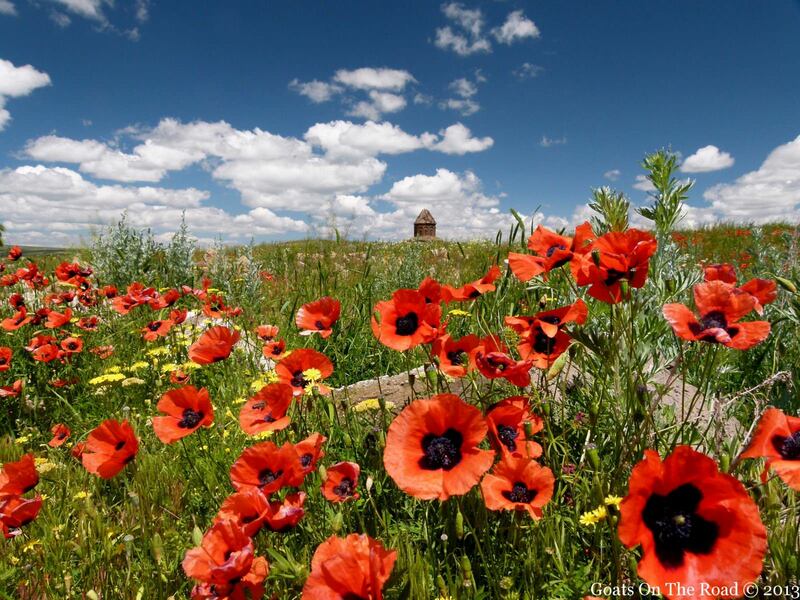 Bright red poppies in the field, Eastern Turkey. 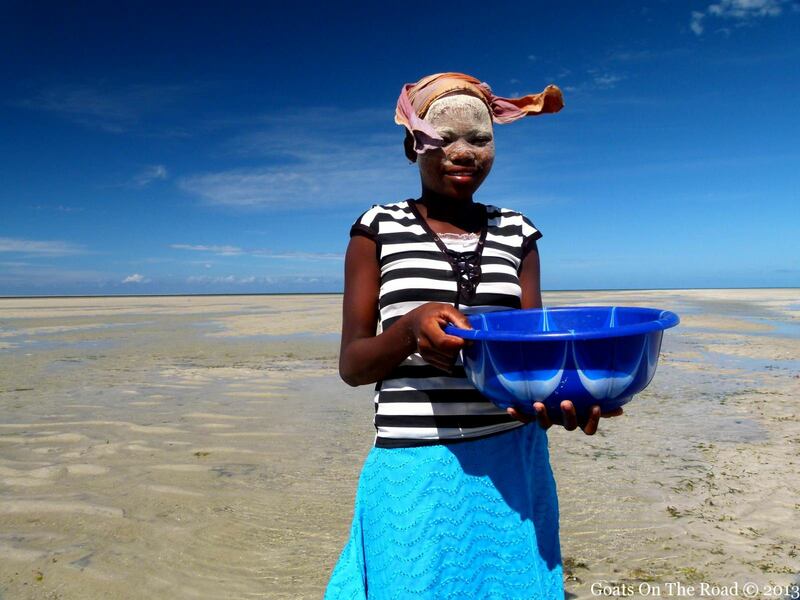 The girl in blue at Quirimba Island in Mozambique. A lone green wagon in a sea of golden desert. Mut, Egypt. 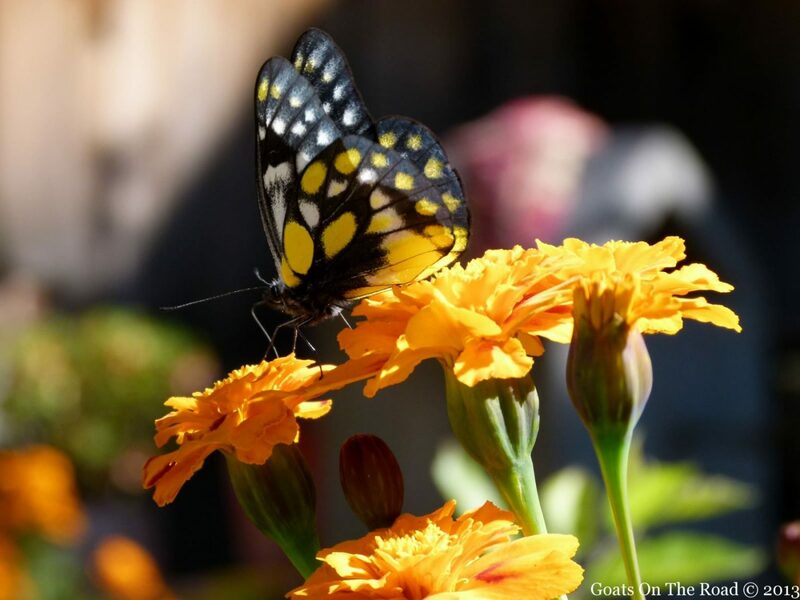 Yellow flowers and yellow butterfly high in the Himalayas of Nepal. 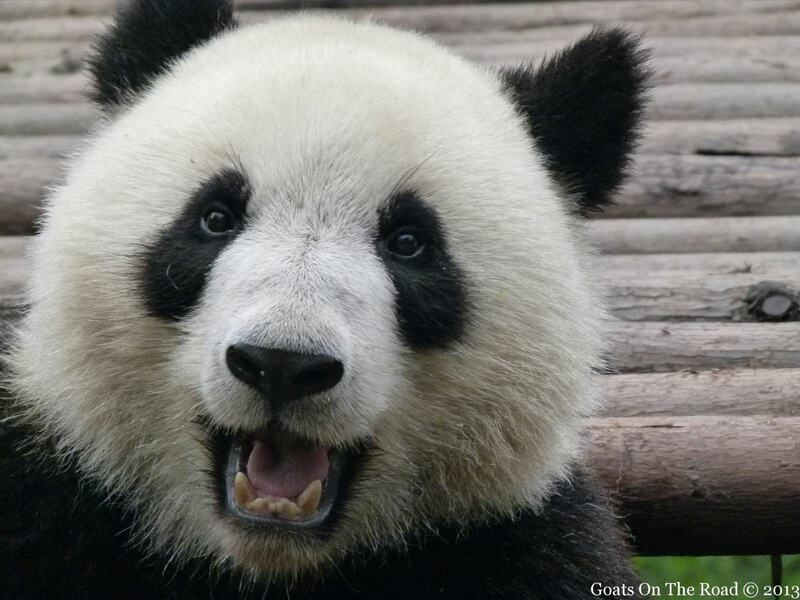 One Happy Panda in Chengdu, China. We wish we could have picked more photos, it was so hard to choose. But there you have it, our top choices to represent the required colour scheme. Wish us luck! If you want to enter the contest, just post your five favorite photos from these color categories: red, blue, yellow, green and blue. Then nominate five other bloggers. Finally, tweet your post with the hashtag #CTC13. For the full contest rules go here. To follow the entries check out the contest’s pinterest boards and Facebook page. Becky & Gray of Global Grasshopper – Not only are they great people, but their photography is fantastic. Our favourites are from their Finnish Wilderness post. Brendan of Brendan’s Adventures – The photography on this website is unreal! Since we love safaris, our top pick of his photo essays is from Chobe National Park in Botswana. Sherry of OttsWorld – Sherry’s stories of adventure are inspiring and her photos are fantastic. Have a look at her recent Belgium Photography. Dan & Casey of A Cruising Couple – These two are on a similar path in life as us. They have a Sunday Snapshot series where they showcase a stunning photo each week. Beth & Randy of Beers & Beans – Our very first guest post was written on their site! Check out their stunning photo essays from around the world. …and a special shout-out to Dave & Deb of The Planet D! We’ve always loved their photography and they have been fabulous friends and mentors. Gorgeous photos guys (as always!) thanks so much for the nomination! Thanks Becky 🙂 You’re welcome for the nomination…you and Gray take awesome photos! Thanks a lot Noel! We love those 2 photos as well. It was really fun searching through our photos, brought back a lot of memories. Wow some fantastic images here, my favourite is probably the young girl in Mozambique, becuase I’m a sucker for a great portrait. Good luck. Thanks Johanna 🙂 Those are 2 of our favourite shots! Glad you enjoyed them. Thanks for the sharing with us…your photography is so beautiful.